Since Peace Corps’ inception in 1961, more than 60 deaf Americans have successfully served as Volunteers. An additional 138 Americans with some degree of hearing loss have served since 2001. Now that I have been in Cameroon for almost a year, I want to give some insight on what it's like to serve in the Peace Corps as a person with hearing loss and create awareness that it is possible for deaf and hard of hearing people to be Volunteers, despite some unique obstacles. It’s just a matter of knowing how to handle the barriers! 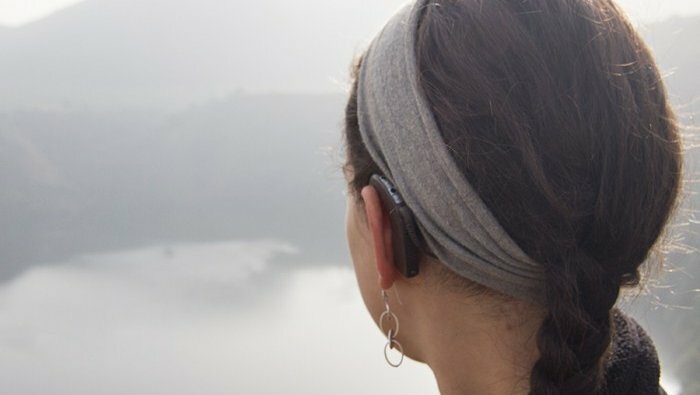 Everyone in my Peace Corps community knows I have hearing loss. Even before arriving in Cameroon, I was up front about it: When I first joined the Facebook group for my group, I asked questions about serving as a person with hearing loss. For example, I asked how common it is for volunteers to be posted with electricity. I also expressed concerns about getting a final medical clearance because I knew having hearing loss could be an obstacle. Fortunately, I received final medical clearance without any problems. The very first challenge I encountered was learning to understand Cameroonian accents, both in English and French. While my brain takes a longer time than an average-hearing person to adapt to accents, I am eventually able to understand speakers with little difficulty. However, there were a number of times I had to say, “I’m sorry. I didn’t hear what you said. Can you please repeat?” While communicating has been challenging, it's been the least stressful part of my service. Because I grew up facing communication challenges, I already had strategies for handling those situations. While in training, I told the trainers that I have hearing loss and might ask for clarification on materials that I may have not understood. They could not have been more understanding. When they gave PowerPoint presentations, I asked them to transfer the presentation file to my USB key so that I could review information during my free time. I sometimes asked other trainees if I could review their notes to make sure I had all the information I needed. I always made sure I rested after training so I would have energy to focus the following day. During training, I spent several hours learning French and Pidgin English. While learning foreign languages was my strength in high school and college, I still needed some accommodations to ensure I could reach my fullest potential. I was very open in telling the trainers that it was important for them to pronounce clearly and, if there was an unfamiliar word that I could not understand, I asked them to write it down. In day-to-day life at my post, I occasionally face a moment where I say something completely off-topic in response to other people because I misheard. All Peace Corps Volunteers sometimes face this situation communicating in a language not our own, but because I grew up facing this moment a number of times, I've learned that it’s not the end of the world. I always say, “Oh! I’m sorry! I thought you said this…” and then ask for a clarification. I have not faced stigma due to my hearing loss. Hearing loss is an invisible disability. Strangers only know that I have hearing loss if I wear my hair up in a ponytail and they notice my hearing devices. The only time people have really taken the time to notice my hearing device was at a school for the deaf, where the deaf children pointed to me and then pointed to their ears. Electricity is certainly very important to maintaining my cochlear implant devices. I was very upfront with Peace Corps staff about making sure I have electricity at post. Cameroon has a very wet and dusty environment, but my cochlear implant devices are still working like a charm thanks to an electric box where I store my devices while sleeping (a reason having electricity is important!). I also brought solar panels with me. Just as every Peace Corps Volunteer who hears normally experiences his or her journey differently, every deaf or hard of hearing person’s Peace Corps experience is unique too. If you’re a deaf or hard of hearing American interested in international development work and serving your country, I would encourage you to apply to the Peace Corps. Rachel Chaikof, a Health Volunteer in Cameroon, is working with persons with disability to help improve their quality of life. She has BA in Visual Communications with a concentration in photography from Savannah College of Art and Design and MA in Anthropology with a focus on Material and Visual Culture from University College London in the UK. She is deaf due to Usher Syndrome but speaks and hears with cochlear implants, a technology that allows people who are deaf to hear. You can read more about Rachel at her blog at http://blog.rachelchaikof.com.